(CNSNews.com) – A pro-democracy Iranian group based in the United States accuses a top fund-raiser for Democratic presidential nominee John Kerry of aiding radical Iranian clerics. The Kerry fund-raiser is scheduled to be deposed in a civil lawsuit next week involving accusations that he has served as an agent for the Islamic government of Iran. A group of Iranian expatriates, the Student Movement Coordinating Committee for Democracy in Iran (SMCCDI), and two American authors plan to hold a press conference this week to discuss the Iranian regime’s influence on Sen. John Kerry’s presidential campaign. The event will take place Thursday at the National Press Club. SMCCDI has alleged that Kerry presidential campaign fund-raiser Hassan Nemazee, a New York-based investment banker, has used his position to advance the agenda of the Islamic Republic of Iran. Nemazee has denied charges that he served as an agent for Iran’s government, and he has filed a $10-million civil lawsuit in Texas against SMCCDDI’s coordinator, Aryo Pirouznia, alleging defamation of character. Pirouznia has counter-sued Nemazee, and Nemazee is scheduled to give a deposition next week. „Perhaps because [Nemazee] knows the suit would embarrass the Democrat nominee, Nemazee has sought to postpone if not avoid answering questions about his suit in a deposition. Thanks to [SMCCDI’s] counter-suit, faith in democracy, and a clear-headed judge in Texas who refused [Nemazee’s] delay, SMCCDI is going public with the evidence,“ read SMCCDI’s press release for Thursday’s press conference. Corsi, co-author of the best-selling book Unfit for Command: Swift Boat Veterans Speak Out Against John Kerry, is working on another book called Atomic Islam: Iran, Oil, Terrorism and the Democratic Party. WorldNetDaily Books plans to publish it in 2005. „Nemazee is one of Kerry’s top fund-raisers. He is listed on Kerry’s website as a top tier fund-raiser,“ Corsi said. „Nemazee has raised over half-a-million dollars for Kerry. He has been at all kinds of events for Kerry, and Kerry is proposing normalizing relations with Iran and giving Iran nuclear fuel,“ he added. 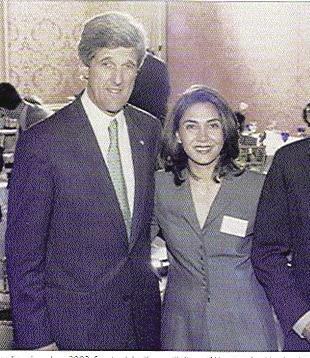 Kerry called for normalizing relations with Iran in December 2003 in a speech to the Council on Foreign Relations: „As president, I will be prepared early on to explore areas of mutual interest with Iran, just as I was prepared to normalize relations with Vietnam a decade ago,“ Kerry said. The U.S. State Department consistently has labeled Iran as a leading state sponsor of terrorism, and human rights groups have accused the Iranian government of human rights abuses. The Bush administration opposes normalizing relations with Iran and also has denied nuclear fuel to the country. Corsi said Kerry’s policy could prove very dangerous to the U.S.
„Trusting the Iranians not to make bombs when they have been funding Hezbollah and Hamas for a quarter century is like thinking [Japan’s former Emperor] Tojo was not going to attack the United States when he had a chance,“ Corsi said. „Mr. Kerry has not only adopted the policies that the Islamic government in Tehran would like to see pursued by the U.S., he has accepted money by their lobbyists and has been the featured speaker at prominent fund-raising events,“ Timmerman told CNSNews.com. The RUSI report also said uranium enriched to a higher concentration was also likely to be produced in greater quantities by Iran, a factor confirmed as a possibility in the IAEA’s latest report with the installation of powerful new centrifuges. The 700 IR-2m centrifuges are of particular concern to those worried Iran may want to make nuclear arms, because they are believed to be able to enrich two to five times faster than Tehran’s old machines. 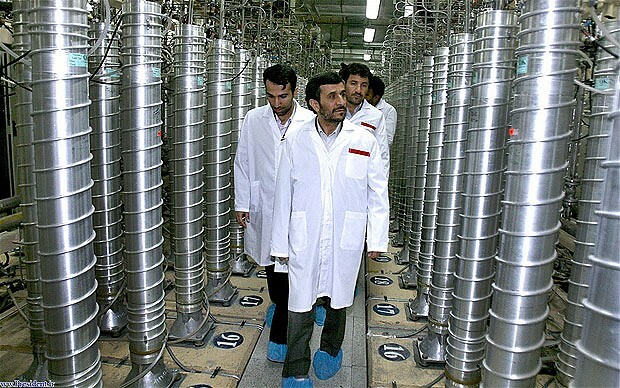 Dr Thomas Rid, Reader in War Studies at King’s College, London, told the Telegraph that Stuxnet had given Iran a „major incentive“ to review its enrichment programe. He said: „Stuxnet was a psychological operation, and the goal was to essentially make Iranian engineers think they [were] incompetent. „By finding out they were attacked they had a major incentive to go back to drawing board and look at the vulnerability of their system. „If you think you’re the problem you’re likely to give up, but if you think it’s the software you can fix it“. Iran’s nuclear spokesman Fereidoun Abbasi had already confirmed earlier this year that more than 3,000 new high-tech centrifuges would phase out its older-generation enriching machines at Natanz. Iran denies that either its enrichment program or the reactor will be used to make nuclear arms. Most international concern has focused on its enrichment program at Natanz, because it is further advanced than the Arak reactor and already has the capacity to enrich to weapons-grade uranium. Elsewhere in the report, the IAEA inspectors said they have found evidence that Tehran routinely attempts to flout the sanctions applied against Iran over its nuclear program, which Western powers and their allies suspect is aimed at producing weapons but the Iranians say is for peaceful electricity generation. Iran’s Nuclear Program is one of the most sensitive and critical issues in the politics of Middle East that has various geo-political dimensions that generate some other aspects to talk about how a high level art of diplomacy and wisdom are needed to resolve this complicating issue that has gripped the World for several years. 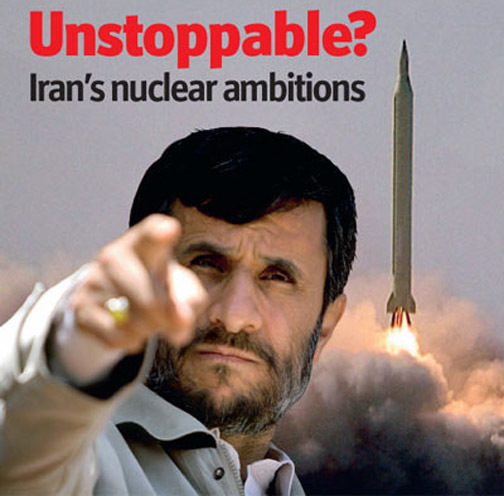 Why Arabs are afraid of Iran’s Nuke Program? In reality there is no nuclear threat from Iran to Arab World but since last century, after the political division of Arab territories, Arabs are failed to establish their identity on the basis of Arab Nationalism or Islam despite several moves from time to time in this regard. They are divided into tribes who have traditional domestic differences with each others and hence have a lack of any National Identity so Arab states have their pivot around Royal Families ruling the land (Monarchies) but enmity amongst tribes may have a serious threats in coming time to their existence as a state based on National Identity. Such threats have frightened them to think about portraying a foreign enemy in order to unify the nation and strengthen the country’s sense of national identity around the pivot of Royal families. For this purpose a Non-Arab and Anti-America Iran is an ideal “foreign enemy” so Arab States are also on front alongside Western Countries to declare Iran a Global threat and their enemy. In other words, propagating a nuclear Iran would mean more strength for an enemy around which Arab’s new identity has taken shape. Therefore, the focus on Iran has been increased as Arab States trying to proceed with their own nation-building efforts. Why US and West are consistently persuading Iran to cut back on sensitive aspects of its nuclear work? The official policy of USA is that Iran should not be allowed to develop a nuclear weapon, while urging Tehran to respond to the international sanctions aimed at dissuading it from acquiring a nuclear bomb. Tehran insists that its nuclear program is solely for civilian energy and medical purposes, while the U.S.-led West and Israel suspect that Iran is aimed at developing a nuclear weapon that could be used to destroy Israel. Although several proposal and incentives have been offered to Iran to persuade it to roll back its Nuclear Program including supply of enriched uranium of a restricted degree for use only in civilian purposes but no significant success has been observed so far despite years-long negotiation with IAEA and European Union. Iranian Leadership under the influence of Revolutionary Guards has several times threatened Israel to wipe it out from the earth. The fear of West is in the background of specific ideology of Islamic Revolution that is totally controlled by hard liners Revolutionary Guards and its Nuclear Programs is also in the supervision and control of this Revolutionary Military Guards instead of any state civilian authority. What are the fears of Iran? Iran knows well that neighboring nations are not in support of its Islamic revolution. Just after the Revolution took place Saddam-led Iraq attacked on Iran with massive military and financial support of neighboring Arab States and West that went on about 18 years but Iran successfully not only pushed back enemies but also strengthened its revolutionary roots in region and acquired general public support in Islamic world. Iran also remained successful in establishing economical ties with other strong nations outside the region. Internally Iran foiled all the actions against Islamic Revolution and kept promoting a political system and held elections regularly instead of turning system into any sort of autocracy. Iran wants to secure its sovereignty and revolution hence aims at acquiring nuclear capabilities to overcome all difficulties and that’s why Iranian Leadership is looking steadfast against all sanctions, pressures and threats from USA and West. Iranian President Mahmoud Ahmadinejad said recently that international sanctions imposed over Iran’s nuclear drive had caused “problems”, but they had not stopped progress. What makes Israel so anxious to attack on Iran immediately? Acquiring a Nuclear Weapon by Iran is a “Death Warrant” to Israel so Israel does not want to give Iran any chance to get succeeded. Israel wants USA and West to attack Iran immediately. In past Israel destroyed Iraq’s nuclear plant by staging a air strike but in case of Iran so far situation is perhaps out of control. Although Israeli Commanders Chief of Staff Lt. Gen. Benny Gantz boasts that Israel can act alone if need be and that’s true. But military experts believe that Israel’s current military capabilities aren’t enough to deliver a knockout blow against Iran’s nuclear infrastructure as Iranians have duplicated some of their nuclear installations and others are buried deep underground with heavy air defenses. Is Israel really capable of launching attack on Iran on its own? To overcome the limitations Israelis are buying the new U.S. F-35 stealth fighter, which they see as the best option for the kind of air strike they have in mind but the first 20 won’t be available until 2015, with another 55 following over 2-3 years after that. But Western Analysts say Iran may have nuclear weapons by then, as well as a couple of hundred more ballistic missiles to drop them anywhere. Why US and West are avoiding the military option against Iran so far? Although US officials have declared several times that military option against Iran is always on table but US seeks its diplomatic solution instead of war. Strategic experts believe that US is not sure about the success of any attack on Iran but any such action will result in uncontrollable consequences all over the World. Iran’s geo-political location in Middle East is of great importance. Any military action in that region will surely result in closure of a major oil supply route to Asia and Asian Pacific Region and nobody can predict in advance what reaction will come from that region’s powerful countries and economic forces. Moreover, the possible emerging global economic turmoil will not make the America’s life easy to deal with such unforeseen and unpredictable situation. In that scenario USA and West understand it better to hold talks and more and more talks with Iran by any forum to sort out this issue to reach to a respectable solution for all stake-holders. Diplomatic efforts have been underway for years in which the five permanent members of the UN Security Council, all nuclear powers and Germany have tried, so far in vain, to persuade Iran to cut back on sensitive aspects of its nuclear work. Nobody knows what happens in talks but holding another talk after failure of a talk means that there is a room for a success but how to reach there is a matter of patience and art of diplomacy. Has a weapon ever been invented, no matter how terrible, and not used? The crossbow, the dreadnought, poison gas, the tank, the landmine, chemical weapons, napalm, the B-29, the drone: all had their day and for some that day remains now. Even the most terrible weapon of all, the atomic bomb, that city-buster, that potential civilization-destroyer, was used as soon as it was available. Depending on your historical interpretation, it was either responsible for ending World War II in the Pacific or rushed into action before that war could end. In either case, it launched the atomic age. During the Cold War, the two superpowers, the U.S. and the Soviet Union, relied on a strategy that used to be termed, without irony, „mutual assured destruction“ or MAD. Its intent was simple enough: to hold off a planetary holocaust by threatening to commit one. With their massive nuclear arsenals, those two imperial states held each other and everyone else on the planet hostage. Each safely secured more than enough nukes to be able to absorb a „first strike“ that would devastate its territory, leaving possibly tens of millions of its citizens dead or wounded, and still return the (dis)favor. After the Soviet Union disappeared in 1991, nuclear weapons did, too — without going away. The American and Russian arsenals, and the nuclear geography that underlay them, remained in place, just largely unremarked upon. In the meantime, the weaponry itself spread. In those years, the last superpower, which seldom discussed its own arsenal, selectively focused its energies on containing the spread of nuclear weaponry in three nations: the first was Pakistan some part of whose ever-growing nuclear arsenal it feared might fall into the hands of extreme Islamic fundamentalists in a land Washington was in the process of destabilizing via a war in neighboring Afghanistan and a CIA drone campaign in its tribal borderlands; the second was North Korea, a country encouraged in its quest for nuclear weapons by watching the U.S. take down two autocrats, Saddam Hussein and Muammar Qaddafi, who gave up their nuclear programs prior to U.S. interventions; and the third was Iran, which had a nuclear program (started by the U.S. in an era when the country was considered our bulwark in the Persian Gulf), but as far as anyone knows no plans to weaponize it. That the spread of nuclear weapons, whatever the country, is a danger to us all is obvious. Who exactly will use such weapons next and where remains unknown. But there is no reason to believe that, sooner or later, nuclear weapons — which have now spread to nine countries — and are likely to spread further, will not be used again. Recently, a Texas-based nonprofit got a lot of publicity by announcing that it had fired the first handgun ever made almost totally by a 3-D printer. This act, modest enough in itself, nonetheless highlights a trend of our time. Weaponry that once only a large state, mobilizing scientists, industrial power, and resources could produce can now be made by ever-smaller states — say North Korea with limited resources and a malnourished populace. Similarly, weapons once made by large companies can now be assembled by individuals. Or put another way, ever more powerful weaponry is increasingly available to ever less powerful states and even non-state actors. It was, for instance, the Aum Shinrikyo cult that, in 1995, produced sarin nerve gas — „the poor man’s atomic bomb“ — in its own laboratory and used it in the Tokyo subways, killing 13, just as in the U.S. anthrax began arriving in the mail a week after 9/11, killing five people. We don’t know where or why a nuclear weapon will be used. We don’t know whether it will be a North Korean, South Korean, Indian, Pakistani, Lebanese, Iranian, Israeli, or even American city that will be hit. All we should assume is that, as long as such weapons are developed, amassed, and stored for use, one day they will be used with consequences that, as Nick Turse, author of the bestselling Kill Anything That Moves, reports in „Nuclear Terror in the Middle East,“ are — even for those who have studied the atomic bombings of Hiroshima and Nagasaki — beyond imagining. The tense struggle between the two Shiite leaders, Muqtada al-Sadr and Ammar al-Hakim, has been going on for several years. Today, however, they meet again in Najaf, their main stronghold and the center of their religious and political strength, to reject Prime Minister Nouri al-Maliki’s proposal of retaining the political majority’s option. Two of Iraq’s top Shiite leaders, Muqtada al-Sadr and Ammar al-Hakim, recently met to discuss current political affairs. The Najaf meeting on May 7, 2013, was held at Sadr’s residence in al-Hanana. Journalists were expecting the two “friends and enemies,” who never held longer meetings, to be finished in less than an hour, as normal. To their surprise, this time was different, and negotiations lasted for almost three hours. Hakim entered the Shiite town of al-Hanana, west of Najaf quite casually and quietly despite its population’s deep hostility towards his political party. In a joint news conference, the two leaders requested that the Iraqi government hold provincial elections in Anbar and Nineveh as soon as possible, and called for the Iraqiya bloc to re-engage in the government and the parliament. Sadr demanded acceleration in carrying out the Nineveh and Anbar elections so that the provincial elections could include all provinces. Sadr confirmed the continuation of the good relationship with the Islamic Supreme Council to rebuild Iraq, ensure its unity and safety, serve its oppressed people and uphold the word of truth. It is worth mentioning that this is the first meeting between Sadr and Hakim since 2012, when they met in Najaf against the backdrop of a series of intensive meetings aimed at eroding confidence from Maliki’s government in agreement with some opposition forces, including the Democratic Patriotic Alliance of Kurdistan and the Iraqiya Bloc. The source said that Hakim confirmed to Sadr the necessity of forming local governments with broad political representation, expressing his willingness to maintain the partnership approach, adding that the Sadrist movement believes that the situation in each province shapes the nature of the alliances. According to the Independent High Electoral Commission (IHEC), the State of Law Coalition only obtained 97 seats in the provinces against a total of 118 seats obtained by the National Iraqi Alliance (the Supreme Council) and the Sadrist Movement’s lists. It is worth mentioning that Maliki’s State of Law Coalition lost the regions which used to be under its control, after losing in said regions around 30% of the seats it had obtained in 2009, despite its alliance with the Badr Organization, the Islamic Virtue Party and the National Reform Trend led by Ibrahim al-Jaafari. Yet, the possibility of an alliance between the Sadrist Movement and the Supreme Council looms on the horizon, threatening the State of Law Coalition with facing a difficult political period. Bakri believes that Hakim’s approach is different from that of Sadr, as he tries to gain Maliki’s influence as political leverage in the upcoming period, in particular while being fully aware that Maliki needs him in this period, even more so after the State of Law Coalition’s loss of dozens of the seats it had won in 2009. Amid reports of a second Israeli airstrike on Syria over the weekend, an Iraqi Shiite leader on Sunday urged Damascus to retaliate against Israel and called on his followers to defend Syria’s prestige in the face of alleged Israeli aggression. Analysts said the call by Muqtada al-Sadr was unlikely to translate into concrete action by Iraqis, but suggested that the reported Israeli strikes could provide the Shiite powers — Hezbollah and Iran in particular — with a means of turning attention away from their intervention in Syria. “The illegal Zionist entity hasn’t ceased infringing on rights of the Arabs and Muslims in its illegal seizure of land of Palestine, nor has the Arab and Islamic stance ceased to be timid as a result of its illegal acts of aggression and crimes,” Sadr said in a statement translated by Aymenn Jawad Al-Tamimi of the Middle East Forum. A militia commander-turned-politician who led a guerrilla war against American and allied forces with his Mahdi Army, Sadr spent three years of self-imposed exile in Iran before returning to Iraq in 2011. His political party, the Sadr Movement, holds 40 seats in Iraq’s 325-seat parliament and is widely regarded as an Iranian client. Foreign media, based on Syrian opposition reports, indicated that Israeli Air Force jets struck a Syrian military installation north of Damascus early Sunday morning, days after American news outlets cited US officials saying Israel had struck Syria late Thursday night. 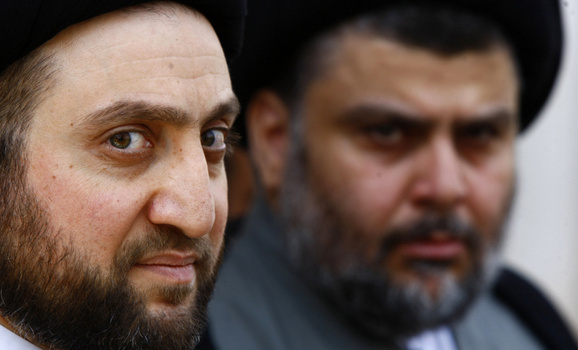 Despite Sadr’s call to action, he officially disarmed his thousands-strong Mahdi Army following the American withdrawal from Iraq in 2011 and has asserted that his movement is now nonviolent. Iraqi MP Mohammed Redha al-Khafaji, a leader in the Sadr political movement, told London-based newspaper Al-Sharq al-Awsat in April that, contrary to reports, no members of the Mahdi Army were taking part in the Syrian civil war. While the likelihood of an Arab world united against Israel is virtually nil, it could prompt the unification of Shiite Muslims against the Jewish State — Iran included, Professor Moshe Maoz of Hebrew University told The Times of Israel. Sadr’s call joined a chorus of saber-rattling by the Shiite Muslim world against Israel over the reported strikes against Syrian targets. “The Syrian army has accumulated experience during years of conflict with the Zionist regime [Israel] and is able to defend itself and doesn’t need foreign assistance,” Pourdastan added. Maoz said Sadr’s rhetoric was not likely to translate into collective Iraqi action against Israel — even though the two countries have technically been at war since 1948. “The Sunni world is rejoicing that Israel struck Syria,” but Moaz puts little faith in the ability of Sadr — let alone the Arab world — to take real action against Israel. Professor Uzi Rabi of Tel Aviv University’s Moshe Dayan Center for Middle Eastern Studies also noted that “neither Iran nor Syria has an interest in waging a war against Israel,” but said that Sadr and others would like to break the cycle of Shiite-Sunni conflict and redirect it at Israel. 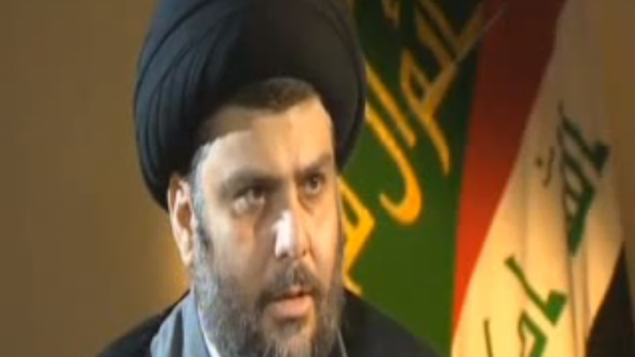 Muqtada al-Sadr and some Shiites in Lebanon, Rabi said, “are criticizing [Hezbollah leader Hassan] Nasrallah and Iran for getting into the mess in Syria instead of dealing with Israel.” Shiite leaders may try to use the alleged Israeli strikes on Syria as “a tool by which to shift from the problematic Sunni-Shiite divide… and to turn back to the simple beginning — Israel versus the others,” Rabi told The Times of Israel. He emphasized that Sadr’s statements point to an escape route by which Iran and its clients could use Israel’s purported attack on Syria to backpedal on the “grave mistake” of intervening in the bloody quagmire in Syria. Consider this: There are still an estimated 18,000 of these weapons in the arsenals of the nine nuclear states with the United States and Russia holding 95% percent. Many are at the ready 24 hours a day, seven days a week to be launched upon command from missile silos, from U.S. and Russian nuclear submarines still plying the sea, or on board planes poised to launch an attack. Dr. Strangelove is still with us in 2013, yet aside from the latest nuclear headlines from North Korea and Iran, many disregard the threat nuclear weapons continue to pose for global civilization — the same threat that kept us awake at night from the late 1940s through the early 1990s. 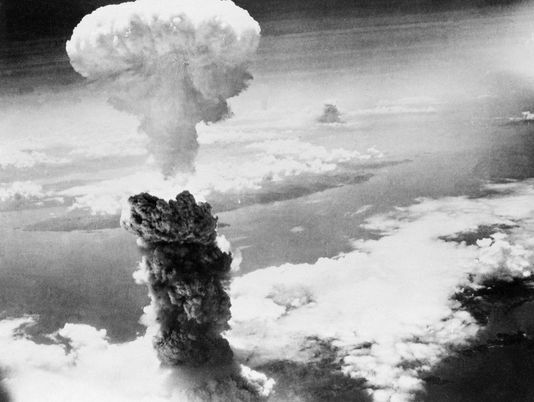 More than 240,000 human beings were killed by just two atomic bomb explosions in Hiroshima and Nagasaki in 1945, and many more later because of the impact of the radiation released by the bombs. The reality is that the world has not been the same. Since then, the Soviet Union (now Russia), the United Kingdom, France, China, India, Pakistan and North Korea all announced that they have nuclear weapons. It is well known, although not officially acknowledged, that Israel has their own arsenal of nuclear weapons. From 1946 to 1998 more than 2,000 nuclear test explosions took place around the world. In 1996, the Comprehensive Test Ban Treaty was adopted by most nations including the United States, however,the U.S. and seven other countries have not yet ratified it. North Korea exploded nuclear devices in 2006, 2009 and once again in February of this year. And Iran threatens to join the nuclear club. On top of this, there is a proliferation of nuclear waste from nuclear power plants around the world, which can be processed into fissile radioactive materials that can be used by what is benignly called „non-state actors“ to make either their own nuclear bomb or what is called a dirty bomb. There was a moment in recent history that the world came close to abolishing nuclear weapons. In October 1986, Ronald Reagan and Mikhail Gorbachev, leaders of the United States and the Soviet Union at that time, met in a small room at the Hofdi House in Reykjavik, Iceland. For two fateful days they met and negotiated. At the end Reagan and Gorbachev came within one word of cutting a deal to eliminate their nuclear arsenals, but it was not to be. The story told in my documentary, In My Lifetime, is a window into the larger issues of war and peace, but I hope that it will also initiate a global dialogue. Filmed in Europe, Japan and the United States, and drawing on hundreds of hours of archival footage, the film has been produced for an audience of all generations, focusing on the possibilities that we can someday move toward the elimination of this invention born out of fear during World War II. Will anyone listen? Does it need to „happen again“ before we understand the consequences of maintaining these arsenals, each one capable of destroying a city? Robert E. Frye is the producer/director of a one-hour documentary In My Lifetime, released by American Public Television for broadcast on public television stations.